Holy Trinity Church sits at the centre of Dilton Marsh, where the Hollow meets St. Mary’s Lane in crossroads with the High Street. 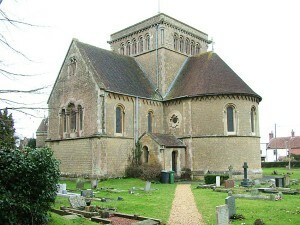 The church was built in a Romanesque style in 1844 and is Grade II* listed. There is a good pipe organ and the striking clock reminds the villagers of the church’s presence as well as the time of day! There is a children’s corner and catering area in the space below the west gallery. In 2015 the path leading to the front door was re-laid to enable easy access for those in wheelchairs. The church serves the village of Dilton Marsh and is a growing and vibrant community of faith that enjoys worshipping and fellowship together. Sunday worship is at 10.00am in the church. On third Sundays, Café Church is at 10.00am in the village Memorial Hall, attracting a large number of people once a month. Café Church includes breakfast. Once a month, Holy Communion is celebrated on Wednesday at 9.15am. On the first Saturday of each month a table top sale and coffee morning is held in the Church. This is a great way to meet new people and raise funds for the Church. See our latest news page for details.